Jacksonville's own wholesale district is getting major boost with the formation of a business owner's association to enhance the neighborhood's appearance and functionality. As highlighted in this previously published article, Jacksonville possesses a neighborhood hidden in plain view that contributes hundreds of millions of dollars in local economic impact. Buoyed by an influx of new businesses reimagining industrial buildings, the area once known as Honeymoon Yard has the potential to become a regional destination and could eclipse Detroit’s Eastern Market as the largest wholesale district in the country. 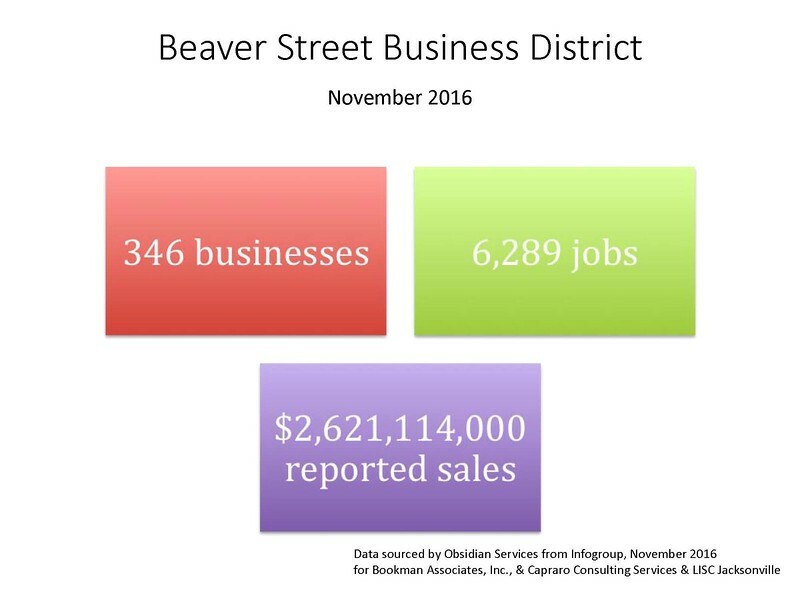 Now, area business owners are formally organizing in an effort to capitalize on the area’s assets, market the area appropriately and improve on infrastructure that has gone neglected for decades. 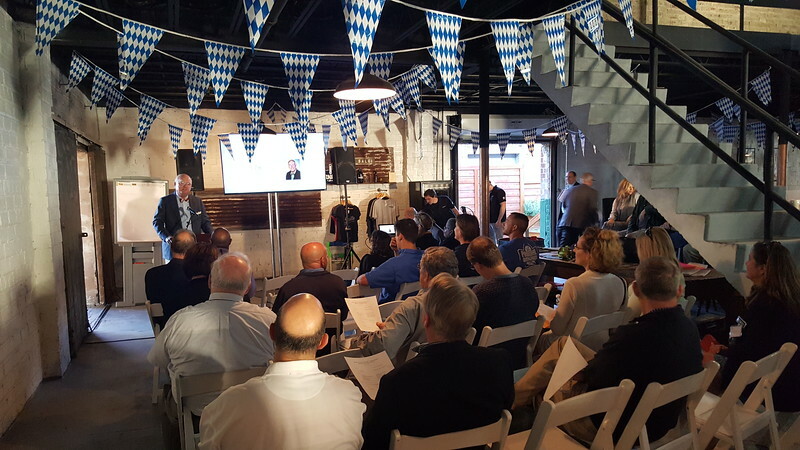 Business owners meet at Engine 15 Brewing to begin the formation of a business improvement association centered around Honeymoon Yard. Business owners like Murphy heard from a consultant hired by LISC to examine the area’s current status as well as identify areas where improvements are necessary. “The conclusion we reached,” said Joel Bookman, one of the consultants LISC hired to conduct the market analysis, “was that the area is a strong economic engine; not just for Northwest Jacksonville, but for all of Jacksonville.” The neighborhood currently houses 346 businesses, creating 6,289 jobs and accounting for over $2.6 billion in annual revenue. Excerpt from a MetroEdge Report studying the area surrounding Beaver Street and Myrtle Avenue. 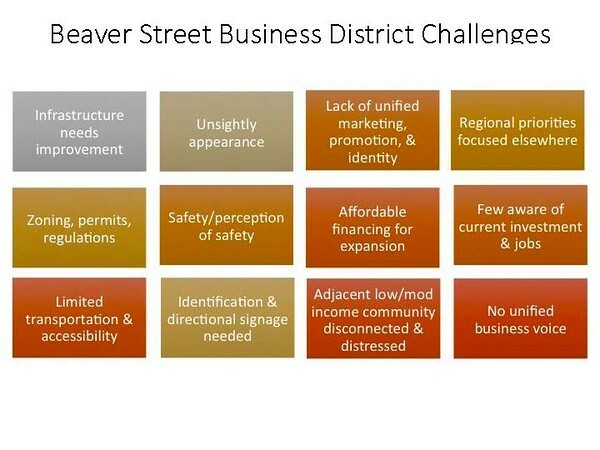 Challenges identified for the success of the neighborhood. With this kind of existing baseline to build upon, the area’s future could rapidly improve with the help of an organized business association that could push local officials to update zoning laws and upgrade roadways and sidewalks to lay the functional groundwork for future growth. In addition, local business owners hope to initiate branding and marketing initiatives and install wayfaring signs in order to drive more locals to the area. 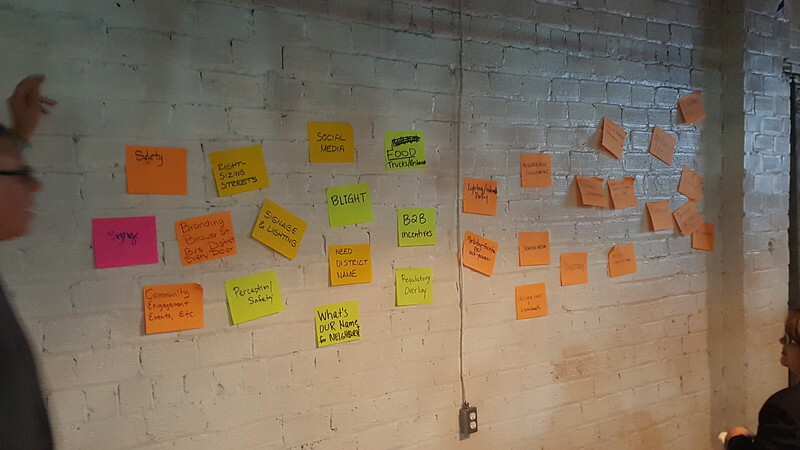 Neighborhood stakeholders brainstormed ideas to help propel Honeymoon Yard at an official meeting for a newly formed business improvement association. Next: What’s the big deal with Honeymoon Yard anyway?